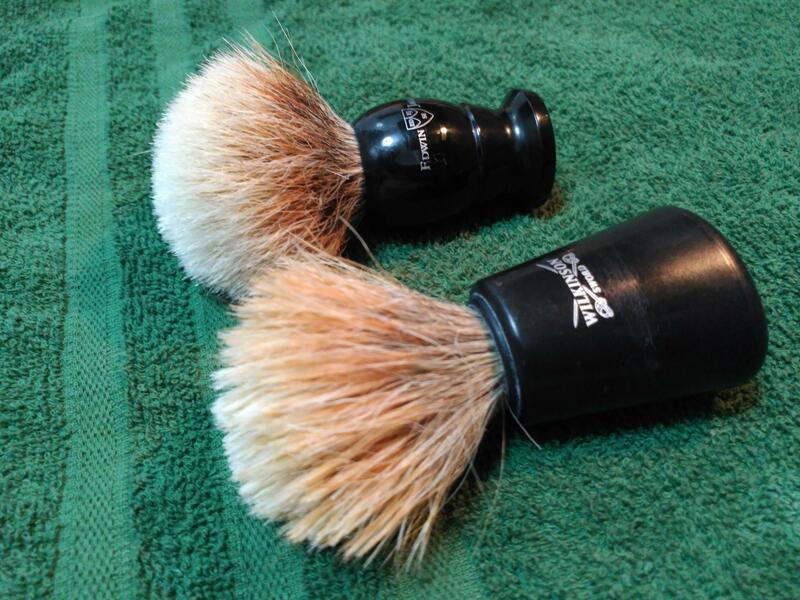 So, long story short, I had this Edwin Jagger brush that was originally purchased as a Best Badger brush. It was my second brush after the infamous black bladger Wilkinson you can see pictured below, and intended to be my first "decent" brush. It was decent, but when I bought my Omega boar and realized I preferred it over the EJ, I put her aside and decided that something had to be done with it. That came in the form a Virginia Shaving Finest 3 Band knot (no 2 Band in 19 mm, which was the required measurement) that made the brush much more usable, but there was still room for improvement. Then, some time ago I learned about this chemical treatment that you can try at home, provided that you have some latex gloves handy. 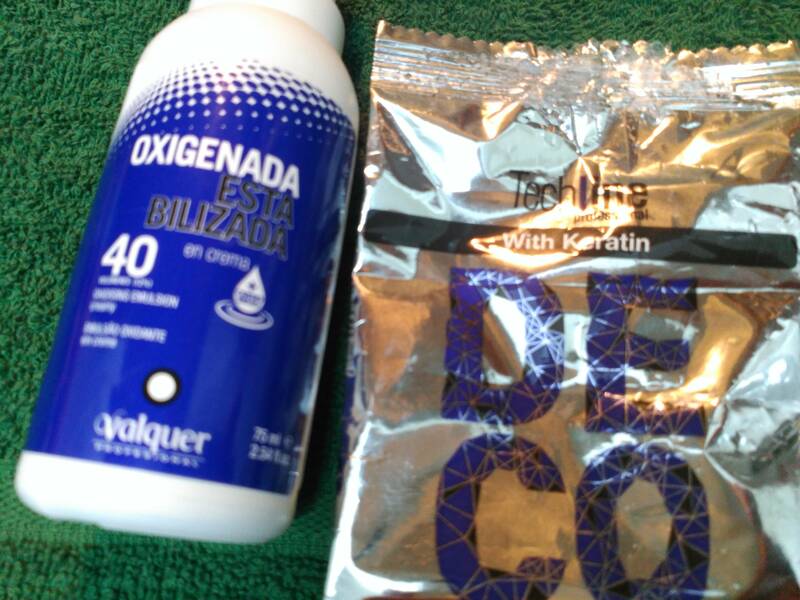 I used half of the decoloring powder and, as per the instructions, mixed it with two parts of hydrogen peroxide gel. I soaked both brushes as in the picture and kept them for 45 minutes there. Then they were thoroughly rinsed and hand lathered with glycerin soap first and MWF afterwards, and they went into another empty puck of soap where there was some hair softener waiting for them. The outcome has been very, very good. 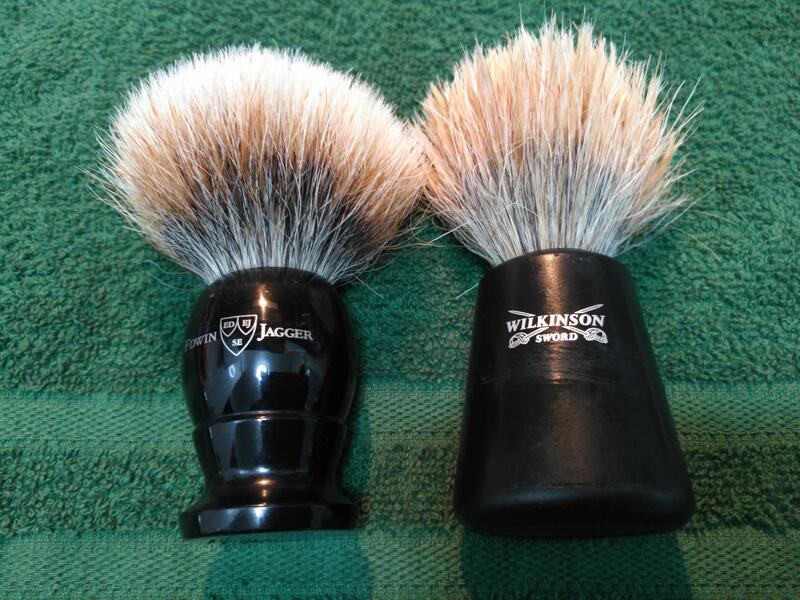 The Wilkinson brush, which was scratchy as a hedgehog, feels now like a boar brush that is not fully broken in yet. Now you can use it without swearing, we could say . The EJ's improvement has been, not surprisingly, much more noticeable, which has to do with the fact that it started from a better quality knot. 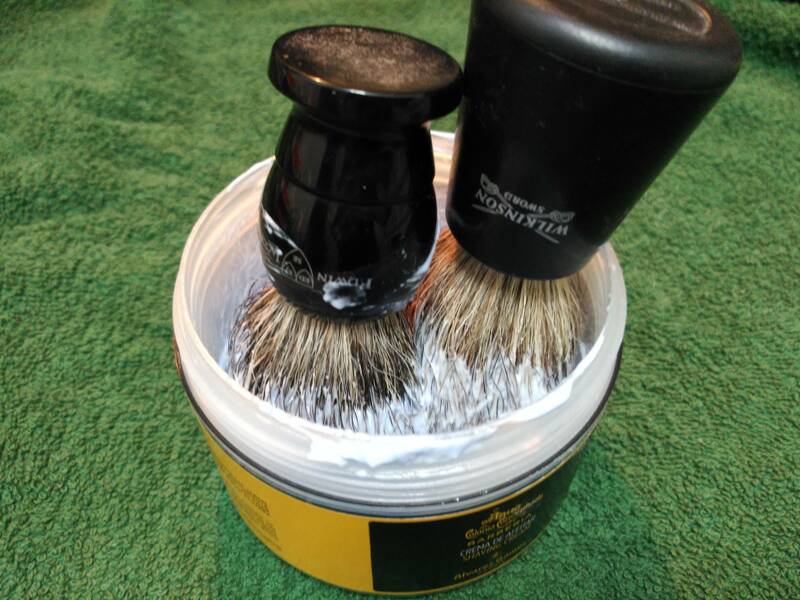 Not it's much softer and pleasant to use, lathers equally well and has retained the ability to scrape hard soaps. All in all, this is something you can do in order to improve the feel of any low to medium quality brush that you own and don't use that much, and that can have a second chance as a travel brush, for example. This is exactly my intention with this EJ brush. Whether I have damaged the hair more than it can withstand and the knot ends up breaking hairs and turning out to be unusable, time will tell, but if so happens it's not the end of the world. It was a cheap knot anyway. Needless to say, I wouldn't do this with any high-end brush. Those are supposed to have a good knot anyway... and in most cases they will be already treated by someone who is supposed to know his stuff . This was just for the joy of fidgeting . I had a good time, so I hope you guys had a good read.